Almost impossible to pick just one because we offer so many models and the most exciting powsurfer will vary depending on the size of the rider and the characteristics of the snow where he or she rides. One that I am really excited about is the Flying Carpet. It’s been a crew favourite over the past 2 years and I’m stoked to be offering it in 2 lengths with 3 different width options for each. Proper width in relation to the riders foot size and weight has a huge impact on performance and one size does NOT fit all. These width varieties will fully accommodate riders of all sizes and cover all the varying snow conditions that exist around the world. The ride of this model is fast, the float is incredible and it’s such a lively ride with great agility and pop. I’m stoked to be able to match this model up to any sized rider in a wide variety of snow conditions. We were the first company to bring powsufers to the market by many years so our process is entirely unique to Grassroots. We built our own presses, moulds, and developed our process ourselves, blazing our own trail to bring powsurfing to the world. Every board in our 2019 line features our CDC 3-Dimensional bases and a custom, hand built 3-Dimensional foam traction. Even down to our smallest child’s powsurfers so every powsurfer we create has superior board feel and precision performance as the top priority. 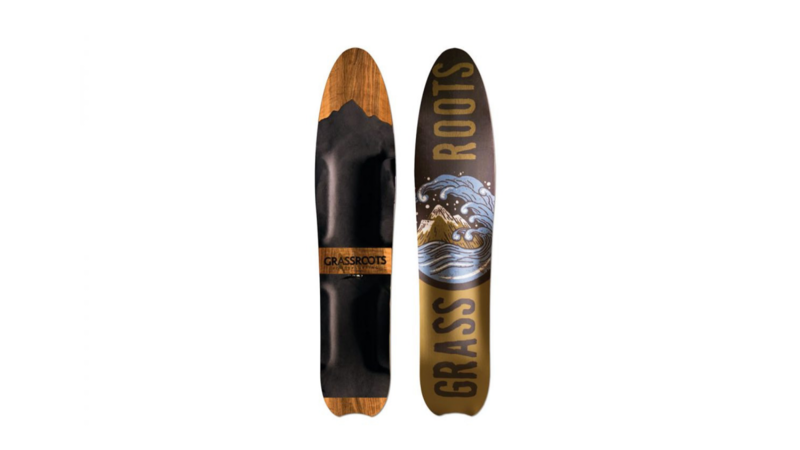 Our boards feature a soft flex nose for improved float and “porpoising” in deep snow and that soft flex gradually transitions into a stiffer waist and tail so the board can transfer as much energy as possible from the rear foot, down the channelled rails and throughout the entire board. There is much more variety to our boards than length and outline as well. We offer numerous different profiles within our line that make a huge impact on the type of ride that comes from a particular board. We handcraft using earth-friendly bio-resins, sustainably sourced wood and sintered ptex bases. Nothing is wasted in our small workshop and we recycle and re-use every bit of material possible. We hold durability as one of the most important features in making a product as earth-friendly as possible. These boards are pieces of rideable art and will last thru generations of riders. We also offer a variety of rare topsheets made from beautiful exotic woods. These boards are absolutely gorgeous and serve as a reminder that wood itself is the most important ingredient that gives life (and beauty) to your powsurfer. We started crafting our powusrfers13 years ago in a tiny shack outside my (Jeremy Jensen’s) home. After 8 years of being crammed in this space with no heat, no doors and very little room to work I was able to save enough money to built a larger shop/showroom that I operate out of today. It is still a modest little shop but it’s right there at my home so I can keep production moving and make sure orders get filled quickly. Everything is right there so I can personally help out each customer and help them pick the right board both in person at the showroom or via email. Having this right at my home allows me to be able to more easily do Grassroots Powsurfing work in between my other jobs, so I can keep my family fed and also be close to home to watch my son and daughter and try to give them the “daddy” time that they deserve. The Grassroots workshop/showroom sits at the foothills of multiple amazing mountain ranges in Northern Utah so testing for prototypes and epic powsurf sessions with the crew are just minutes away. Which pricepoint is seeing the most action at retail? What do people want to pay for powsurfs? This is difficult to answer as we get a wide variety of customers all over the world from different economies. We do our best to make our boards as affordable as possible so that people are not discouraged by price. As the first powsurfing company this was crucial because for the first 7 years we did this very few people even knew what powsurfing was, and many didn’t believe that it was even possible to ride without bindings. So we have always worked to keep prices very affordable so people could afford to experience the immense joy that comes from powsurfing. Products like our splitsurfers can seem quite expensive because so much more goes into the build as well as the cost of skins, bindings and backcountry accessories. 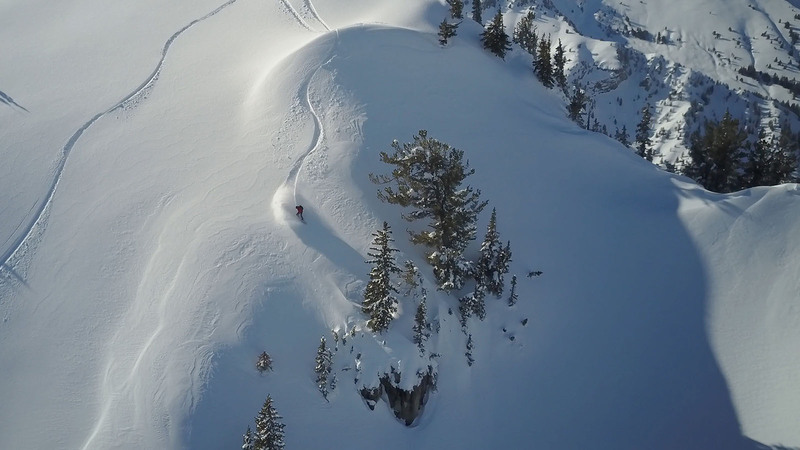 The people buying these products are generally splitboarders or avid backcountry users and are more accustom to the cost of backcountry equipment. For our solid/standard powsurfers we keep our prices right around $410 US on average, which is very low considering everything that goes into building them and the performance you get out of them. Our customers gets the best value possible with the high performance of a 3-Dimensionally channelled powsurfer, durability and speed of a p-tex base and the beauty of a personally handcrafted piece of art. Our designs are the product of over 12 years of R&D and thousands of days of testing. In reality we should be charging closer to $600 but that price is discouraging to many buyers and we’d prefer to see them riding our boards and having a great powsurfing experience rather than spending less money trying to build their own or buying a knock-off board that doesn’t work well and having a poor powsurfing experience. We want to do our best to help powsurfing flourish and that is why we keep the quality of our powsurfers as high as possible yet keep our prices low. We offer over 25 different shapes & sizes because people are all different sizes, steepness and terrain vary greatly and snow comes in so many different consistencies, depths and densities. Because we sell our products all over the world, popularity varies greatly within our line. 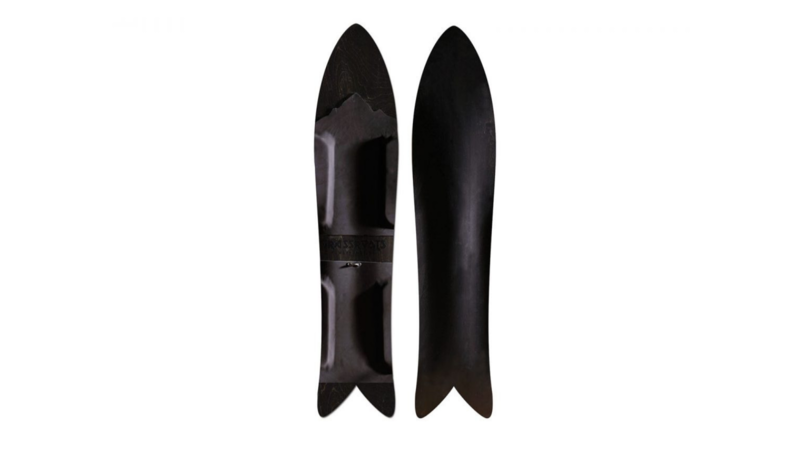 Many of our customers return for another shape and size almost yearly because they can feel the distinct differences in the shapes and they develop more of a quiver mentality. As they learn more about weather and snow qualities in general, they learn which boards are best to take out on a particular day. One size and shape does not fit all people and all conditions. We make an effort to get customers to look into the various shapes/sizes to pick what is best for them and their environment, rather than what shape outline they think looks the “coolest” or what is “trendy” in a particular year. We do our best to help advise customers on what will work best for them and their environment so they can have the best experience possible. We believe that this is what will keep them in love with powsurfing and ultimately bring them back to us when they are ready to add to their quiver. Our graphics are inspired mostly by nature and things in life that make us smile. Things like landscapes, animals, elements and the relationships between all living things. Also the characteristics of animals that we envy and try to mimic in our own motions as we glide down snow covered mountains. There are many other personal influences that have come from a life of skateboarding, surfing and snowboarding and I like to give nods back to those particular people who have helped set me on my path of true binding-free powdersurfing. I do think that powsurfing has a future in retail/distribution at a certain level. Currently Grassroots is sold in 25 shops around the world and most do very well with it. There are others may struggle a bit and there are many reasons why. One big challenge is that it’s likely that many people selling the product in shops have never really powsurfed and/or they don’t fully understand the nuances in each shape and design well enough to translate that to the buyer. When I sell direct to a customer I can communicate with him better than any shop employee ever could because I know everything about each product, shape, size, profile etc.. When the rider gets the best board for them and their environment they have a great experience and they fall in love with powsurfing. If a rider gets the board from the shop that is not so ideal for him/her and their environment then they have a bad experience and are much less likely to pursue more powsurfing. I think the future and growth of powsurfing depends largely on the buyer getting a high-quality board that is the right fit for their size and the right fit for the areas they ride in most. Powsurfing is much more niche than snowboarding and of course the thing isn’t strapped to your feet so it’s harder for many to grasp and the right board for the right person is so much more crucial for the rider to have success. Also, the majority of the snowboard market sells to people who only actually snowboard 3-4 times a year and they do that at a ski resort. The percentage of “core” riders who are truly passionate about snowboarding is very small in comparison to that majority and the percentage of those “core” riders that are willing to hike for powsurfing is small as well. So in the current market this doesn’t leave a very large number of potential customers to pitch to. I feel it is unlikely that the average snowsports participant with get far into powsurfing because the “average participant” in the snowsports market are the people who only ski/ride a few days a year. They could certainly enjoy it if given the right board and sent in the right direction but in the long run it takes effort to access the best terrain, it takes effort in studying the weather and figuring out where the goods are at. It requires hiking and knowledge of environment. I don’t think the majority of people in snowsports have the drive it takes and I don’t think a very high percentage of them even live near the mountains. However, a small percentage of them do have the drive and that percentage will certainly grow once they have tasted the nectar and experienced the feelings we powsurfers know well. But as far as a majority goes I don’t think that is realistic. The percentage of “core” riders in snowboarding only makes up about 2% of the entire population of “people who snowboard” in the industries’ eyes. Snowboarding is a huge market because it’s very easy for most anyone to do and it’s practically spoon fed to people who have the money to do it. Powsurfing is very small and made up of mostly core riders and it takes more effort, work and skill to do well so it’s a whole different game. It will continue to grow and maybe a decade or two from now it could become quite large. It’s very similar to surfing in that it takes effort, knowledge and access to places to ride. Surfing is a huge industry so this gives me hope, but I do think it will take quite a bit of time. And I think for this to happen it will take a change in people’s perceptions. They will need to look at powsurfing more like surfing and less like snowboarding. Surfers earn their waves thru strength, knowledge, persistence and skill whereas snowboarding at large is more of a pay to play lift-served activity that is easy and pretty much anyone can participate if they can afford it. The sooner people (and the media) realize that powsurfing is a different animal than snowboarding, the sooner it can grow into something bigger.